The people of Israel have been exiled, and their pain runs deep, but they kept faith and also worked hard for justice in their own corners of the world. We also may endure hard times, but we are to still be active in God’s mission of mercy, justice, and peace as we await the coming of our Savior! 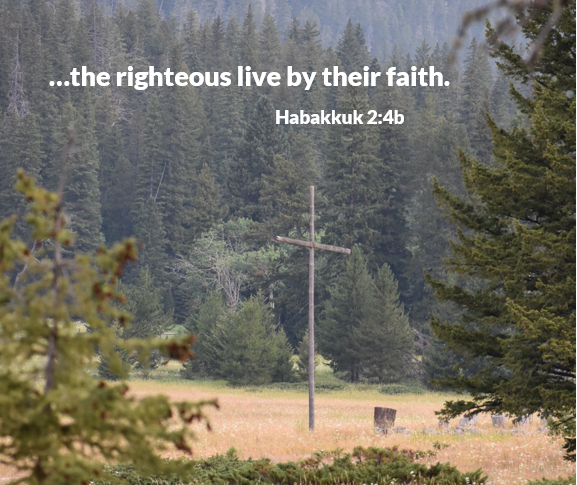 Habakkuk cannot bear the injustice he sees in the world, with seemingly no relief in sight. Where is God when one needs a swift and almighty solution? We might well ask the same. In what ways is your community in exile? Where do you feel your community is isolated from God? Where do you feel it is close to God? When has your faith in God been tested? In what ways have your beliefs changed as you learn and grow? How can you stand out as a sign of God’s promise to those around you? PRAY: God, we are sometimes impatient for you to act according to your vision for the earth. Give us wisdom to see your will unfolding, and boldness to be a part of your solution. In Jesus’ name, Amen. BLESS: May God lift you up on sad days. Amen.